“Our students are outstanding in every way,” says Dawn Moore, M.M.Sc., RT(R), assistant professor and director of the Medical Imaging Program in the Department of Radiology and Imaging Sciences. 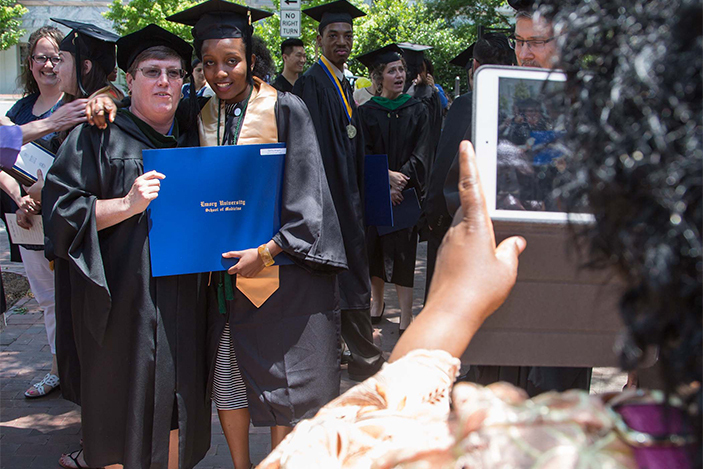 On Monday, May 9th, years of hard work paid off for twenty-four men and women: each earned the Bachelor of Medical Science in Medical Imaging (BMSc) degree from the Department of Radiology and Imaging Sciences in Emory’s School of Medicine. 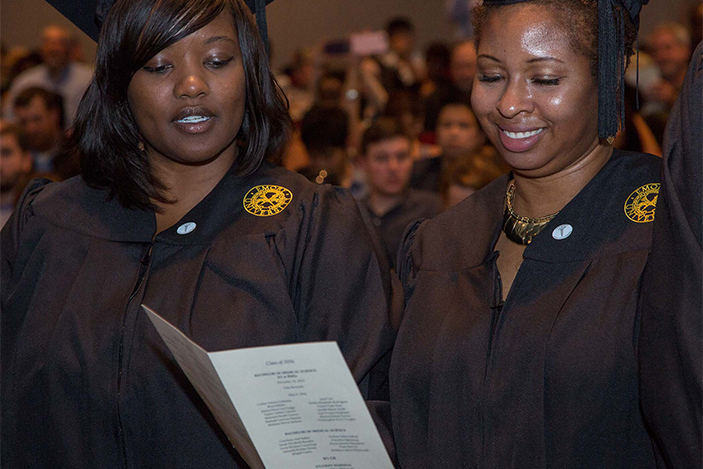 Ten students completed the three-year BMSc program and became eligible to seek their radiologic technologist (RT) credentials. 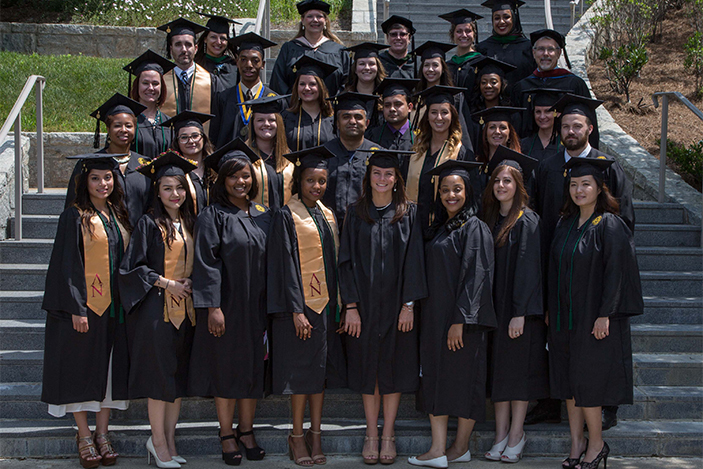 Fourteen students completed the RT-BMSc “bridge” program, so named because these students already are credentialed RTs with associate’s degrees and the two-year program of study provides an academic bridge to a Bachelor’s degree in medical imaging. Academically outstanding, the combined GPA for the Class of 2016 was 3.58 (3.60 for BMSc students and 3.57 for RT-BMsc students). Four students (16.67% of the class) graduated with Highest Honors (GPA 3.90-4.00) and 10 students (41.67% of the class) graduated with Honors (GPA 3.50-3.89). All seven of the BMSc students in the Class of 2016 who already have taken the national board exam passed. 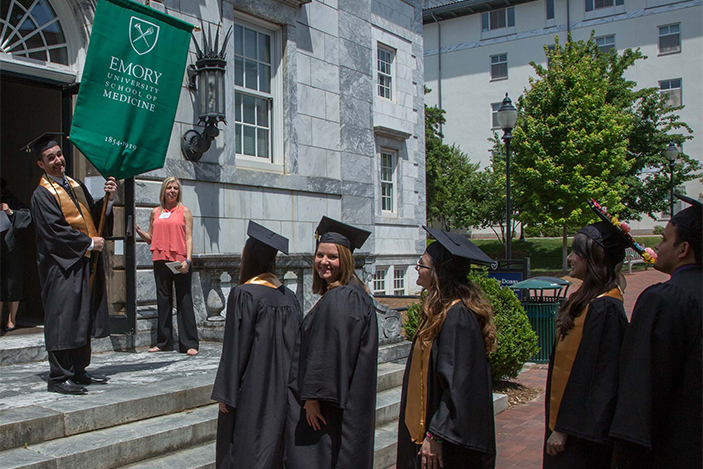 Eight of the graduating BMSc students already have jobs within Emory Healthcare. One is with Emory University Hospital; three are at Emory University Hospital Midtown; one works with Emory Orthopaedics & Spine Center at Executive Park; and three work at Emory St. Joseph’s Hospital. The program is designed to give RTs both the clinical and the leadership skills they need to succeed in today’s complex healthcare system. Students complete a core set of general radiography courses and then choose a minor. Thirty-seven percent of the Class of 2016 chose magnetic resonance imaging (MR), the most popular minor since its introduction in 2008. Others chose interventional radiology (IR) or women’s health, both added in 2013, computed tomography (CT), administration, or education. 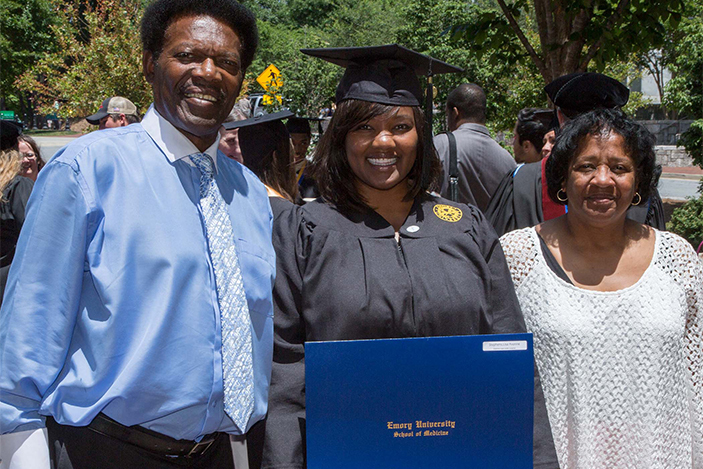 The Class of 2017 is continuing the Emory BMSc legacy of excellence. The Georgia Society of Radiologic Technologists offered three scholarships at the 2016 GSRT Annual Meeting and Emory students won all three. These students from the Class of 2017 are Ashley Clanton, Michelle Munn and Sonny No. Clanton and Munn, along with classmates Zach Conrad and Tony Peterson, comprised the Emory Student Bowl Team and won the competition at the 2016 GSRT Annual Meeting. Ashley Clanton received the 2016 Atlanta Society of Radiologic Technologists scholarship. Sonny No was also selected by the Georgia Society of Radiologic Technologists to participate in the American Society of Radiologic Technologists’ Student Leadership Development Academy in June in Las Vegas, Nevada. 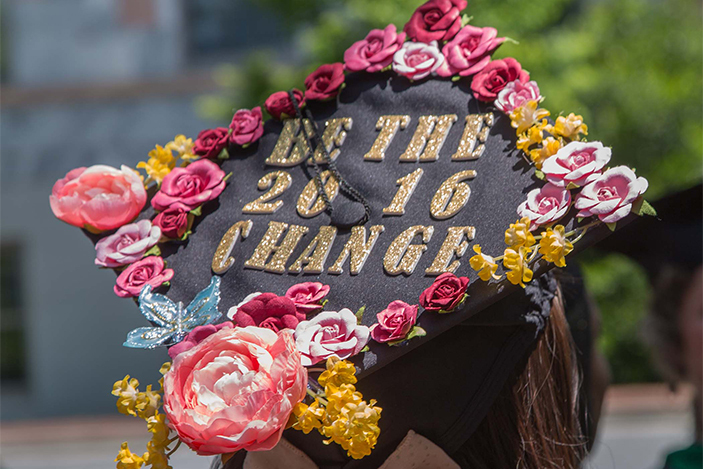 Congratulations to the Class of 2016 and may the Class of 2017 continue to enjoy success!